The 256,108 acre Carlton Complex Fire started on July 14, 2014, by lightning from a weather system that moved through the Methow Valley. The Carlton Complex started as four fires: the Stokes Fire, the Gold Hikes Fire, the French Creek Fire and the Cougar Flat fire. These fires grew into one larger fire on July 17th - the largest single fire in the state's history. Hot weather and windy conditions pushed the fire over the ridge tops and into the town of Pateros, resulting in 357 homes turned into three inches of ash and destroying critical infrastructure, crops, and cattle. 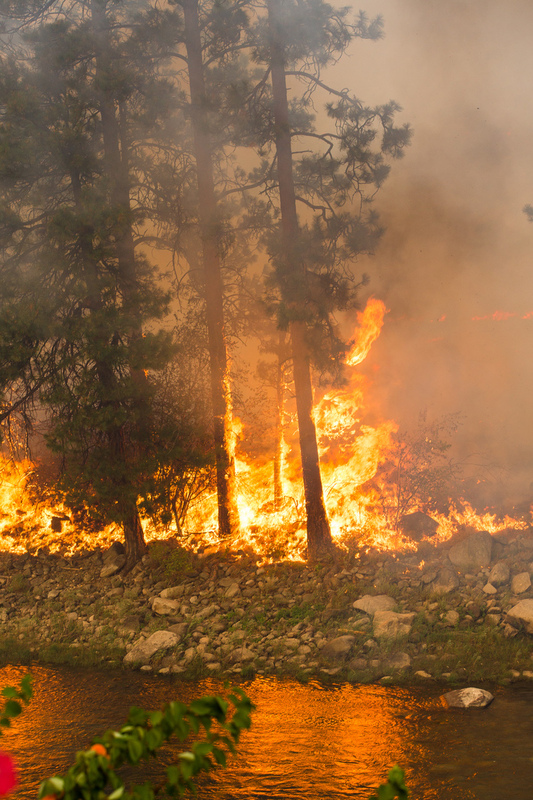 Amidst recovery efforts from the previous summer's fires, Okanogan County and its surrounding areas was struck by another set of devastating fires. Multiple fires burned across 5 counties in Central Washington (Okanogan, Chelan, Ferry, Stevens, and Douglass counties) from August to September in 2015. The largest fires, the Okanogan Complex and Chelan Complex, together burned nearly 400,000 acres of land. The worst of the wildfires occurred in August of 2015, and during that time Washington State was declared to be in a state of emergency by then-President Barack Obama. In addition to the innumerable losses suffered from the fires, the lives of three firefighters were tragically lost while fighting a fire near Twisp. Overall, the fires burned up hundreds of thousands of acres of land and destroyed more than 500 homes. Numerous counties, towns, and families were impacted by the fires of '14-'15. Many people were forced to evacuate the area, leaving behind homes and belongings that would eventually succumb to the fires. Recovery efforts began immediately, but recovery takes time. Even today, over three years later, many have yet to return to the place they once called home. It is the goal of groups like the Okanogan County Long Term Recovery Group to return survivors to their homes as quickly as possible.